Warning: Reality ahead – steady as we go! I guess that makes it real: I am running a marathon about six months from now – I have made it to the big leagues! (No disrespect intended to y’all out there who stick to shorter distances…I know from experience, those races are just as hard, only in different directions.) So that means my whole game has to step up to a new level…and with it, my whole life! The good thing is, that is merely a continuation of what has already been happening; it’s no longer a sea change, but only a matter of degree. The last few months have taught me much about discipline and determination – things I only thought I understood before – and mostly have taught me that there is still much to learn! Along with the marathon (and the ABB 5K on the day before – I may never run Disney, so I just could not pass up triple medal bling!) I also signed up for personalized, dynamic coaching/planning from runcoach.com, so I have been reviewing the workouts, to get an idea of what I have ahead of me. The track drills are all brand new, and I still don’t have a solid cross-training routine in place, but all these will come in due time. The most exciting thing for me is seeing how, after syncing with my Nike+ history, the program predicts my 26.2 finish at 3:47:00 – that’s nearly BQ with months to improve…talk about a brass ring! It’s that kind of stuff that forces me to repeat the title above to myself over and over again – I have this over-the-top gene that loves lofty goals (qualifying for Boston in my first marathon) and I have to force myself to keep moderate (sub-4:00 finish) and threshold (finish, period) goals in mind as I set off on this new adventure. Not having tiered goals is like betting your whole bank on on the turn of one card – if anything goes wrong, it all goes; I have followed that model in the past, and I don’t think there is a more certain path to despair…don’t do this to yourself! Of course, if concessions to reality must be made, you can also allow flights of fancy a little space to play! Mr. Over-The-Top got to looking around at race calenders, and while I have had to scratch a couple due to conflicts with other parts of my life (I wrote about this last week, in case you missed it), there are some strong possibilities that are going on the “watch list”. I also have some new opportunities headed my way, thanks to my friends at OptimalRun.com (you may have noticed the new ad up there in the corner) – I have become an Affiliate, and I am sure this new relationship will be a great benefit to both of us – and to you, my dear readers, as I have chances to share wonderful products and services with you from time to time. 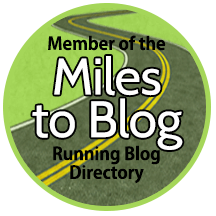 Be looking for some reviews mixed in over the next several weeks, of course along with training updates and whatever else pops into my head – much like running: in for a little, in for the lot! See you next time! This may help explain why you have not heard from me lately in this space; come see the other other side of my life! Caught between before and after…where do I go from here?